Do you know that we produced 7.7 million tonnes of waste equal to 15,000 Olympic-size swimming pools in 2017? This staggering amount of rubbish is an astonishing seven-fold increase from 40 years ago! At this rate of waste generation, Singapore’s only landfill in Semakau will run out of space by 2035. Hopefully things will change this year—2019 has been designated by the Ministry of the Environment and Water Resources (MEWR) to be The Year of Zero Waste for Singapore. More organisations are heeding the clarion call to reduce waste in Singapore, thanks to the work of NGOs like ZeroWasteSG and the Singapore Environment Council. One of the exemplars of reducing its environmental footprint is the Development Bank of Singapore (DBS). As part of its drive to “Recycle more, Waste less,” the bank got more than 50,000 people pledging to adopt simple and easy steps in their daily lives—from saying to single-used straws to switching reusable bags for plastic bags. The bank also came up with handy hacks to help both staff and customers to reduce single-use plastics. These include sporks (fusion spoon and forks), metal straws, red packets for Chinese New Year without plastic wraps, and tiny zip pouches that unfold into recyclable bags. Clients visiting DBS Treasures Lounges now drink from glasses and recyclable paper cups. DBS has significantly reduced the purchase of disposable plastic water bottles in Singapore (a popular corporate or client gift). This helps the bank to save some 7.3 tons of plastic waste every year. Beyond this, the bank will also work with its tech vendor to reuse and reduce packaging for electronic items, saving a ton of plastic waste, and do away with plastic wraps for ang baos, a move that will cut 220 kg in plastic waste. 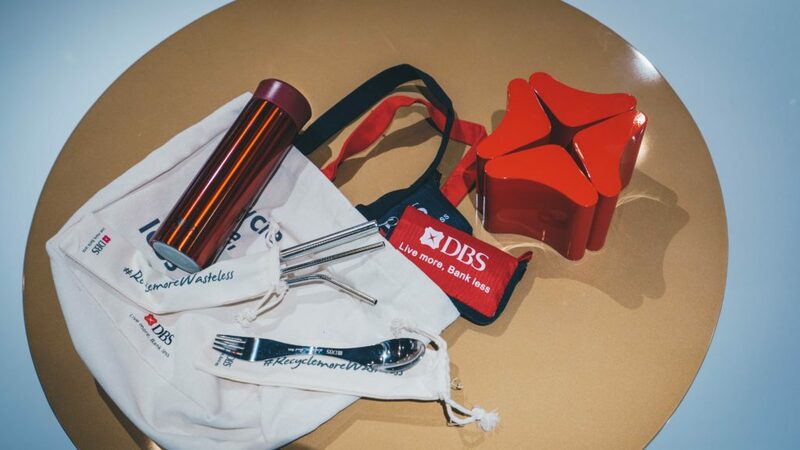 DBS has further distributed 4,000 reusable bags (which fold easily to become tiny, zipped pouches), 2,000 Sporks (a hybrid metal cutlery tool shaped like a spoon and a fork at either end) and 2,500 sets of metal straws to nudge employees to live zero-waste lives. To date, more than 1,300 staff have pledged to reduce their carbon footprint in 2019. In addition, a six-week campaign saw 200 staff volunteers collect 1,900 kg of trash for recycling—a 70 percent increase over previous years. To help more Singaporeans to embrace an eco-friendly lifestyle, DBS gave away 20,000 reusable water bottles to participants of its various events. The bank also distributed 8,000 Sporks as part of a “pledge-for-Sporks” campaign aimed at lowering single-use plastic utensils at universities, food outlets and hawker centres islandwide. Finally, as part of the ‘One Less Plastic’ national campaign, DBS worked with four leading supermarket chains to encourage the use of reusable bags by supermarket shoppers. The chains are Dairy Farm Singapore Group, NTUC FairPrice, Prime Group and Sheng Siong. About 30,000 reusable bags were distributed through the partnership. 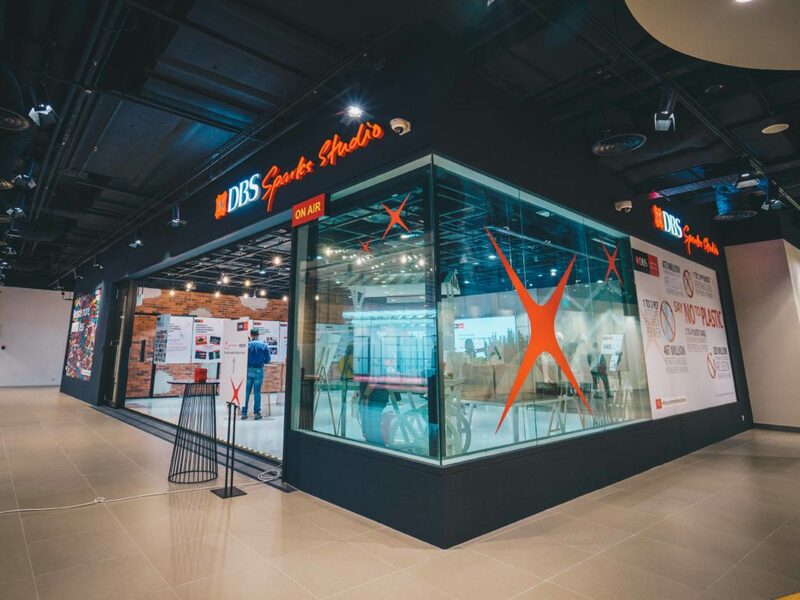 To support social enterprises and communities, DBS has also launched DBS Sparks Studios—a content studio located at the bank’s headquarters in Marina Bay Financial Centre. The space is designed to be a “studio by day, communal hub by night.” It welcomes communities to use the space for networking, gathering, or organising events. 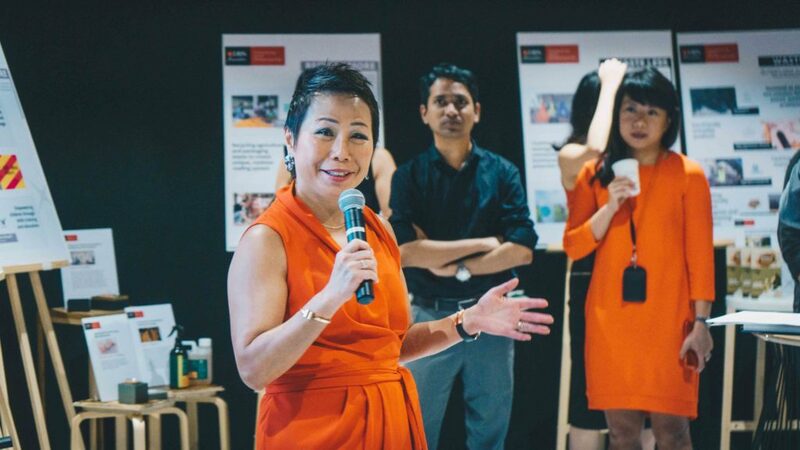 To qualify, you need to either run a social enterprise supported by DBS Foundation, be part of an interest group within the bank, or be part of other public interest groups. Beyond trimming waste, DBS further reported that its green initiatives are part of the bank’s commitment to sustainable development. The first Singapore bank to be included as an index constituent of the FTSE4Good Global Index—a global sustainability index—the bank is also the first in Asia to join the global renewable energy initiative RE100. Pledging to power 100 percent of its Singapore operations with renewable energy sources by 2030, DBS has installed 1,200 solar panels on its office buildings in Changi Business Park. This helped the bank to draw 40 percent of its energy consumption in Singapore from renewable sources. DBS has also launched Singapore’s first green bond in 2017 and promoted green finance through a USD 500 million green bond. The bank was also the sole bookrunner for CDL’s S$100 million green bond—the first green bond by a local company. To learn more about DBS’ “Recycle more, Waste less” eco-movement and the bank’s other sustainability initiatives, visit the link here.